The classic resonator guitar sound is currently popping up in all types of music ranging from country to bluegrass to blues to rock. Resonator Guitar is a fun instrument to play. Janet Davis has taught people of all ages to play resonator guitar and in her own words, "They all have a good time pickin' and grinnin'." This is a very easy method to follow and it will teach you the basics of resonator performance including both chording and single note playing using the slide bar. You'll learn bluegrass, old-time country, blues, Hawaiian, fiddle tunes, folk songs and more. This method covers an extremely wide and diverse array of topics. 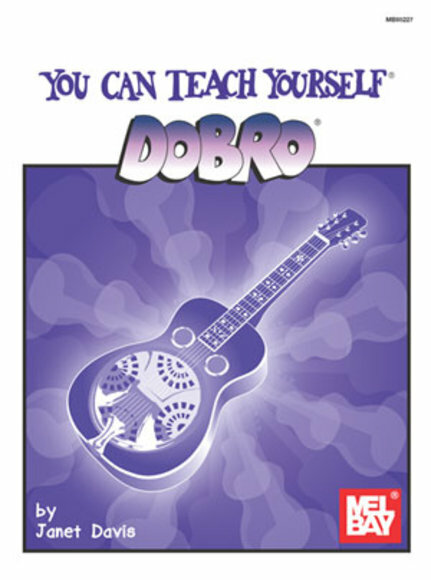 If you want to play Dobro, this book will show you how!